Titanic, Germany’s World War II epic on the most famous ship of all time was banned for years. The 1943 Nazi propaganda film was made in Berlin by Tobis Productions for UFA. The film cost nearly $200 million in today’s dollars. 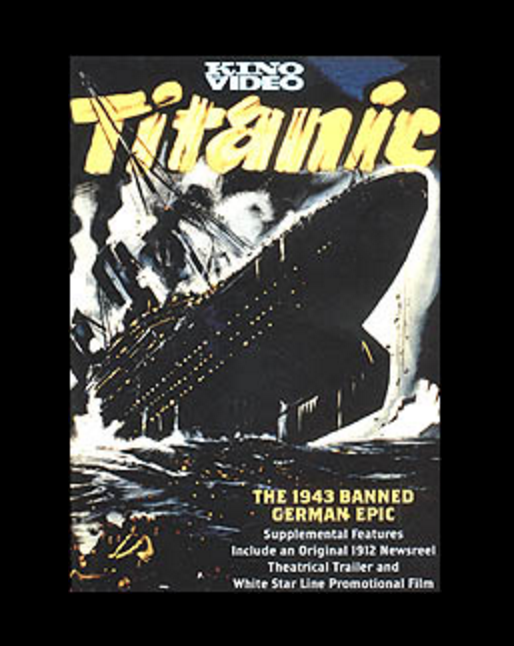 Despite the fact that a British company had already released a German-language film about the RMS Titanic in 1929, the film was commissioned by Nazi Propaganda Minister Joseph Goebbels with the intent of showing not only the superiority of German filmmaking, but also as a propaganda vehicle which would show that British and American capitalism was responsible for the disaster. The addition of an entirely fictional heroic German officer to the ship’s crew was intended to demonstrate the superior bravery and selflessness of German men as compared to the British officers. 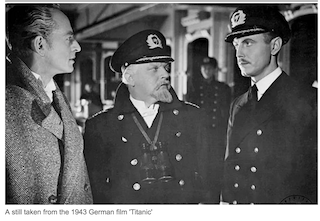 The film, called simply Titanic, features a fictional German hero in the role of the ship’s first officer and was according to Channel 5 “one of the most expensive and ambitious movies ever made” at the time. The film used real German marines as extras despite the ongoing war with Britain. The “Nazi Titanic” British Channel 5 documentary. The movie is described in the documentary as a savage attack on British society. 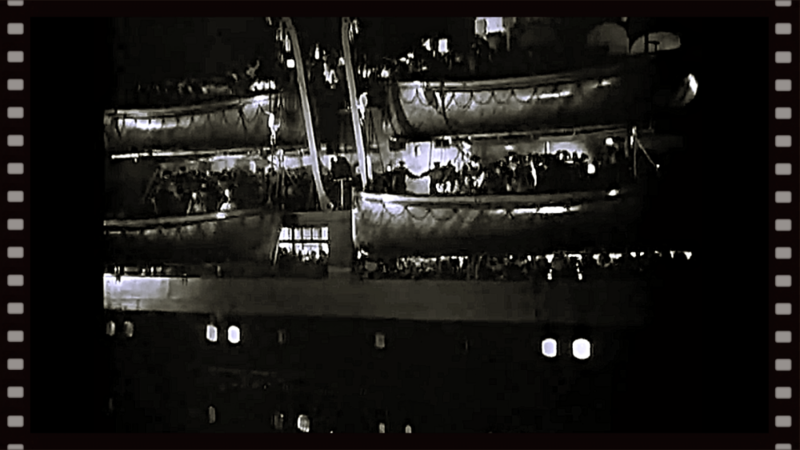 It depicts the sinking as a result of profit-seeking greed by the ship’s owner Joseph Bruce Ismay and other wealthy passengers on board the Titanic. Of course, this is not far from the truth since unbridled capitalism, as we see in the USA, is out to destroy the middle-class and only benefit the elitists. Hitler and Goebbels on the set of the German film TITANIC. 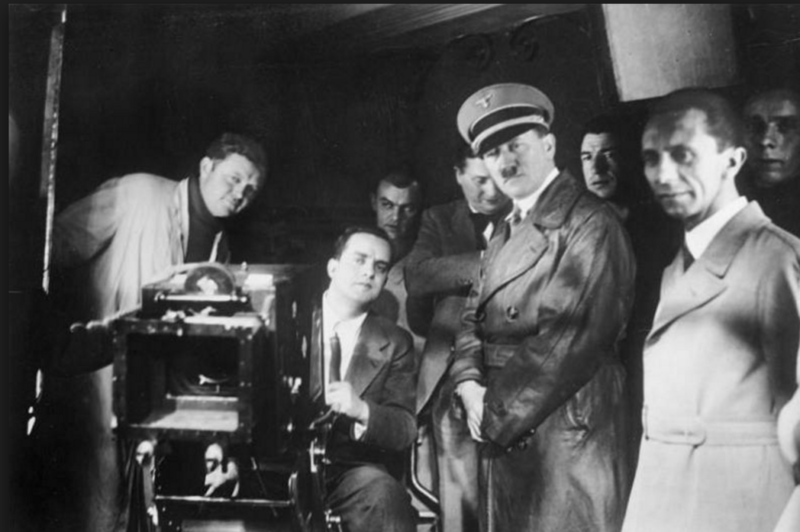 Fittingly, the film itself proved to be a disaster and was eventually banned entirely by Goebbels after a brief theatrical run as it was decided that the tragic images could be demoralizing to the under-fire German population. Its original director, Herbert Selpin, was arrested – and later found hanged in prison – after speaking out against the Nazi regime. The passenger ship used in the filming of Titanic, the SS Cap Arcona, itself sank just three years after filming on May 3, 1945, though it’s sinking in the Baltic Sea was due not to an iceberg but the Royal Air Force. The Cap Arcona was carrying around 5,500 concentration camp inmates at the time, most of whom died in the attack. They were mainly prisoners who had been held in various concentration camps in Germany, and who were being deported as the Allied invasion drew closer. More people died in this disaster than the roughly 1,500 who died in the actual Titanic sinking in 1912. The 1943 German TITANIC remastered in HQ with English and Portuguese subtitles.